Duquesne convenes a meeting of the Uptown Task Force. Working with government and community partners, Duquesne University supports entrepreneurs, attracts new industry, and brings together research, infrastructure and investment to generate new ideas and solutions in and around Pittsburgh. 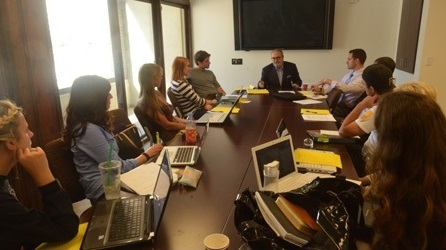 Duquesne University School of Law's Urban Development Practicum provides a broad range of legal services related to real estate and economic development in distressed communities in the region. Students in the practicum gain practical experience by working on real and simulated projects and cases. 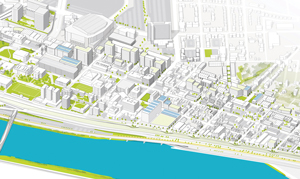 Duquesne University has joined with the City of Pittsburgh and business, neighborhood and nonprofit groups to help develop the nation's first EcoInnovation District along the Forbes and Fifth Avenue corridor.